New York City, NewYork, U.S.
David Rockefeller, Sr. (June 12, 1915 – March 20, 2017) was the patriarch of the Rockefeller family. He founded the Trilateral Commission. He was the only surviving grandchild of oil tycoon John D. Rockefeller, founder of Standard Oil. His five siblings were Abby, John D. III, Nelson, Laurance and Winthrop. He was a member of the Advisory Board for the Bilderberg Group. His net wealth was about 2.5 billion dollars. This ranked him among the 300 richest people in the world. 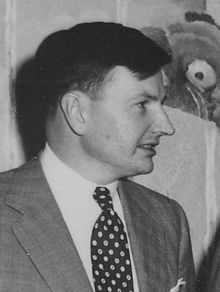 David Rockefeller, Jr. (b. July 24, 1941) — Vice Chairman, Rockefeller Family & Associates (the family office, Room 5600); Chairman of Rockefeller Financial Services; Trustee of the Rockefeller Foundation; former Chairman of the Rockefeller Brothers Fund and Rockefeller & Co., Inc., among many other family institutions. Abby Rockefeller (b. 1943) — The eldest and most rebellious daughter, she was drawn to Marxism and was an strong admirer of Fidel Castro and a late 1960s/early 1970s radical feminist who belonged to the organization Female Liberation, later forming a group called Cell 16. An environmentalist and ecologist, she was an active supporter of the women's liberation movement. Neva Rockefeller Goodwin (b. 1944) — Economist and philanthropist. She is Director of the Global Development and Environment Institute; Trustee and Vice Chair of the Rockefeller Brothers Fund and Director of the Rockefeller Philanthropy Advisors. Peggy Dulany (b. 1947) — Founder of the Synergos Institute in 1986; Board member of the Council on Foreign Relations; serves on the Advisory Committee of the David Rockefeller Center for Latin American Studies at Harvard University. Richard Rockefeller (1949 – 2014) — A physician and philanthropist; chairman of the United States advisory board of the international aid group Doctors Without Borders; Trustee and Chair of the Rockefeller Brothers Fund. He was killed in an airplane crash on June 13, 2014. Eileen Rockefeller Growald (b. 1952) — Venture philanthropist; Founding Chair of Rockefeller Philanthropy Advisors, established in New York City in 2002. Margaret died in 1996. As of 2002, David had ten grandchildren: (by David) Ariana, Camilla; (by Neva) David, Miranda; (by Peggy) Michael; (by Richard) Clay, Rebecca; (by Abby) Christopher; (by Eileen) Danny and Adam. Rockefeller died on March 20, 2017 at his home in Pocantico Hills, New York from congestive heart failure at the age of 101. ↑ "Official Bilderberg Club Website". ↑ "David Rockefeller, Sr". Forbes. ↑ Echols, Alice, Daring to Be Bad: Radical Feminism in America: 1967–1975 (Minneapolis, Minn.: Univ. of Minn. Press, 1989 (ISBN 0-8166-1787-2)), pp. 158 (& perhaps n. 106), 163 & nn. 132–133, & 211 & n. 37 (author then visiting asst. prof. history, Univ. of Ariz. at Tucson). ↑ Northeastern University Archives and Special Collections. ↑ Smith, Timothy R. (March 20, 2017). "David Rockefeller Sr., steward of family fortune and Chase Manhattan Bank, dies at 101". The Washington Post. Retrieved March 20, 2017.